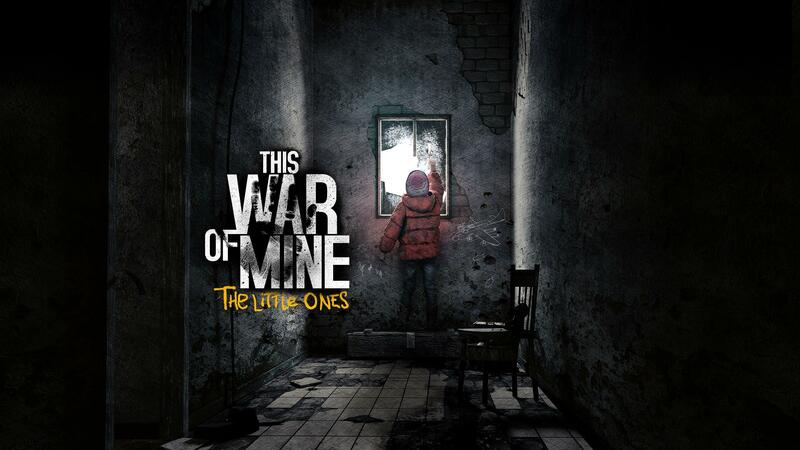 Probably one of the bleakest DLC around, This War of Mine - The Little Ones DLC is a big expansion to the depressing (but good) survival game This War of Mine. Honestly, I hadn't played this game for many many months until this DLC came out, and now I am wondering why I've left it so long to play more of it. Bleak as it is, it's actually a very good survival game. The mix of daytime building with nighttime survival scavenging, sneaking past people as you intrude their safe houses is actually really well done. I especially love the fact that you can scavenge at the same place more than one, so if you remember places you want to go again for items you left behind, you can. With the new DLC it adds a bunch of new characters, including children, but everything is still on a dice roll for who you end up with. You might not see kids very often on, but sometimes you might see a number of them. I did have a couple of kids knock on my door with a sob story about their mom being sick, but sadly I didn't have any medication for myself, so I couldn't help them. If you still haven't tried this game, you really should. It's one of the best survival games available on Linux that isn't some sort of first-person kill or be killed thing. $1 from each DLC copy sold goes to the War Child charity. You can grab the DLC at our Games Republic store, or directly on Steam. Steam comments are largely negative regarding this DLC - essentially, it's a harder game, without new content.